Climbing temperatures may affect your brewing. In most cases, there is a straightforward way to beat the heat. This summer is shaping up to be another scorcher, but that doesn’t need to deter homebrewers. Here are a few tips to guide you through the hottest months. Your initial mash temperature is determined by the temperature of your strike water, the temperature of your malt and the temperature of your mash vessel. If you brew outside — and especially if your brewing rig is stored on a porch or in a (non-air-conditioned) garage — your mash tun will be a little hotter than usual and may lead to high mash-in temperatures. The same is true if your malt is stored in a garage or shed — or even if it sits outside for awhile before you mill it. Keep some cool water on hand in case you need to bring your mash temperature down a few degrees. On the plus side, the hotter it is outside, the less heat you will lose during mashing, compared to brewing outside in winter. During the summer, you tap water may be substantially warmer than it is at other times of the year. You may notice that it takes longer to cool your wort or that you can’t get down to your target temperature. One solution is to get a second wort chiller and place it in line between your tap and your main chiller. Once cooling slows to a crawl using your tap water, submerge the pre-chiller in an ice water bath to finish your wort chilling. Another option is to get a pond pump or something similar. Once the initial pace of wort chilling slows, disconnect your chiller from the tap water and use the pump to recirculate cold water from a picnic cooler, through the chiller and back into the picnic cooler. If you have a fridge or freezer fermentation chamber, you don’t have to worry about the heat of summer. However, even simply having air-conditioning can help. Although most people don’t cool their houses down to ale fermentation temperatures, these temperatures can easily be reached by using a “swamp cooler” and cooling batches of beer by evaporation. If you are stuck without an air-conditioned space to ferment your beer, here are a few suggestions. Fermenting most beers at elevated temperatures leads to overly estery aromas, and can also produce enough higher alcohols (“fusel oils”) to cause headaches. However, there are some things you can do to counteract this if you must ferment your beer too warm — above 72 °F (22 °C) for most ales. Fermentations themselves generate heat, and bigger beers generate more heat. If you are planning to ferment an ale, but can’t quite get down to the proper fermentation temperature, brew a low-gravity session ale. It may turn out a little more estery than usual, but it won’t be the mess that a high-temperature barleywine would be. 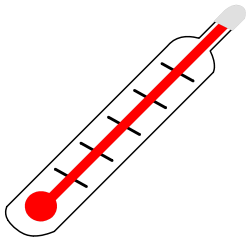 You can also partially counteract the effect of elevated temperature by increasing your pitch rate. Double the size of an optimal yeast starter for your starting gravity and aerate the wort well before pitching. In addition, start the fermentation at the very bottom of the yeast’s fermentation range, if not a few degrees below, if you can manage it. Most yeast-derived aromas are formed during the initial growth phase of the yeast, so chill your wort as cool as you can manage if you know your fermentation temperature is going to climb above your yeast’s recommended range. Finally, take a look at many of the Belgian strains available and consider brewing a Belgian-style beer. Some of these actually benefit from allowing temperatures to rise during fermentation. Great tips, Don’t forget about cooling down the brewer. Make sure to drink lots of water I know I do. An ice-cold Zima will keep you cool and refreshed on brewing day. On an unrelated note, I’d like to announce Beer and Wine Journal’s first corporate sponsor — Zima! I live in Phoenix and it can be really hot brew day. OK it is really hot out. Drink lots of water. Mashing is somewhat tricky at times. This year I made a fermentation fridge working nicely too. Thank you for the timely post. I’ve been brewing farmhouse ales during Austin summers. I’m going to give a low-ABV APA a try using a 2-l starter of 1056. I can’t use a swamp cooler in my house.